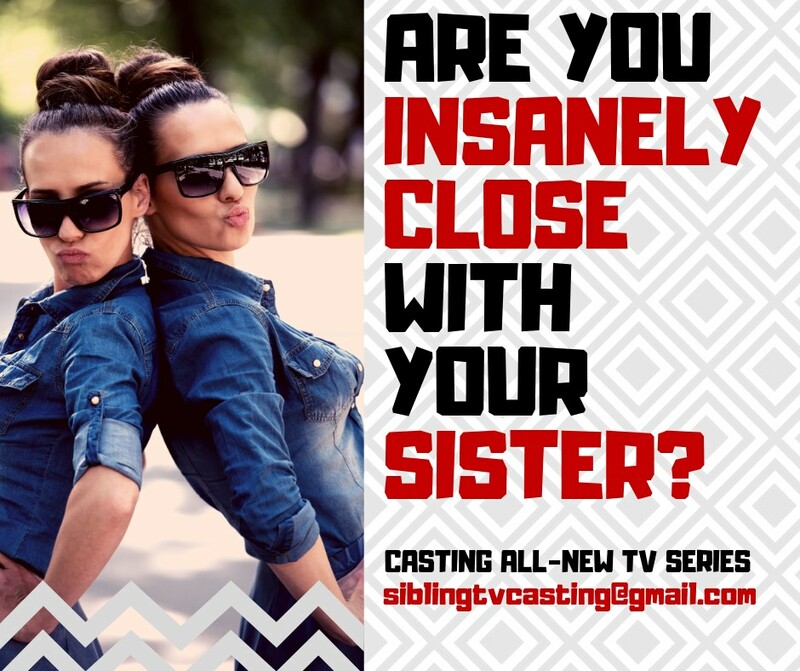 NOW CASTING: INSEPARABLE & INCREDIBLE SISTERS! PAID. • Are you BEYOND INSEPARABLE with your sister? Do you live together, work together, travel together—literally do EVERYTHING together? Names/ages, Location (City & State), full contact information (Phone & Email) Brief bio introducing yourselves and your super-close relationship, several recent photos.